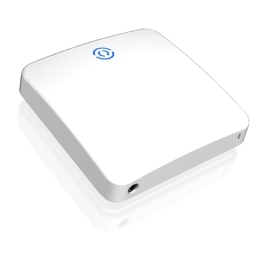 The RX series is a range of RFID readers designed to offer both style and technology. Available as a gloss finish polycarbonate/ABS unit, in either BLACK or WHITE, these readers offer a clean aesthetic that adds a touch of class to any environment. A subtle feature of the RX reader is the shadow-line backplate. A simple design mechanism which offsets the reader a few millimetres from the mounting surface, making the unit appear to float against the wall. All RX readers use RGB LEDs to indicate operation and various interaction functions having additional features that can be applied to many applications, e.g. colour coded access levels, migration status or just mood lighting. Small sized, low cost reader features a beeper and multi-colour LED which can be host and / or locally controlled.